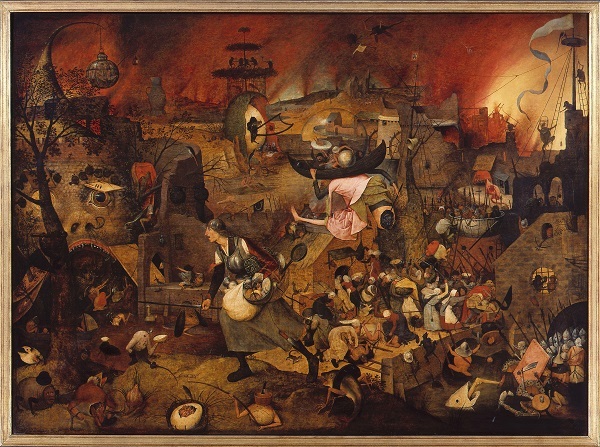 Pieter Bruegel, the Elder is born around 1525 near the present Dutch city of Breda. Although during his lifetime, his fame never equaled that of the great Italian masters, he is today considered one of the greatest masters of Flemish painting, with Van Eyck, Bosch, and Rubens. While little is known about the life of Pieter Bruegel, much can be said by studying his paintings and examining the times he lived in. Clearly fascinated by nature, humanity and humour, he doesn’t quite fit the mold of one or another ‘type’ of artist. This makes him a true enigmatic figure. Bruegel came to Brussels in 1563 and settled in the Quartier de la Chapelle, an elite area at the time. The city and the Pajottenland, a Flemish Brabant region close to the capital, incidentally inspired a large portion of his work. Also, in 2019, numerous organisations will schedule guided visits around Bruegel and all of the places associated with him, as well as the fascinating period in which he lived. These three masterpieces are a testimony to his great talent. 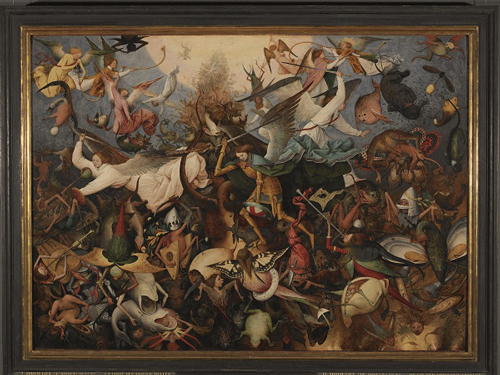 ‘The Fall of the Rebel Angels’ is perhaps Bruegel’s most literal representation of a world in complete turmoil. The work depicts the very first confrontation between good and evil, even before Adam and Eve’s fall from grace. It depicts bizarre ruins, monstrous creatures, people fighting, a scorching glow and a woman, wearing armour, brandishing a sword as she rushes forward. She is Mad Meg, of course, and in the farces in Bruegel’s era, her name was synonymous of a virago. 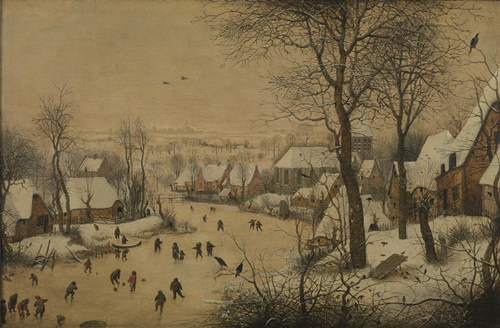 The painting depicts a winter landscape of a Brabant village and river, and is a predecessor of the 17th-century Dutch winter landscapes.